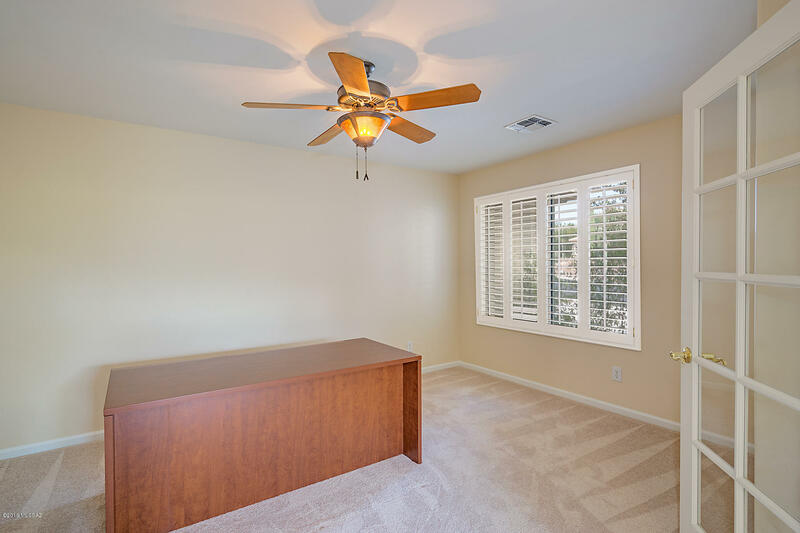 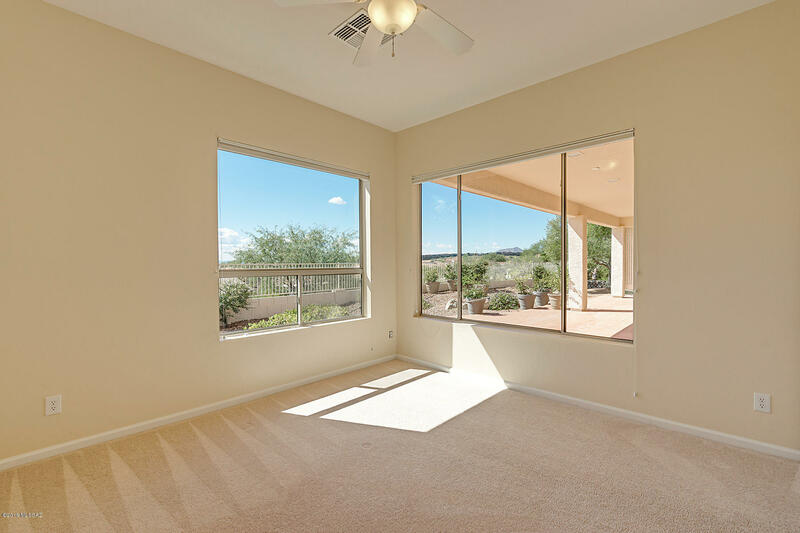 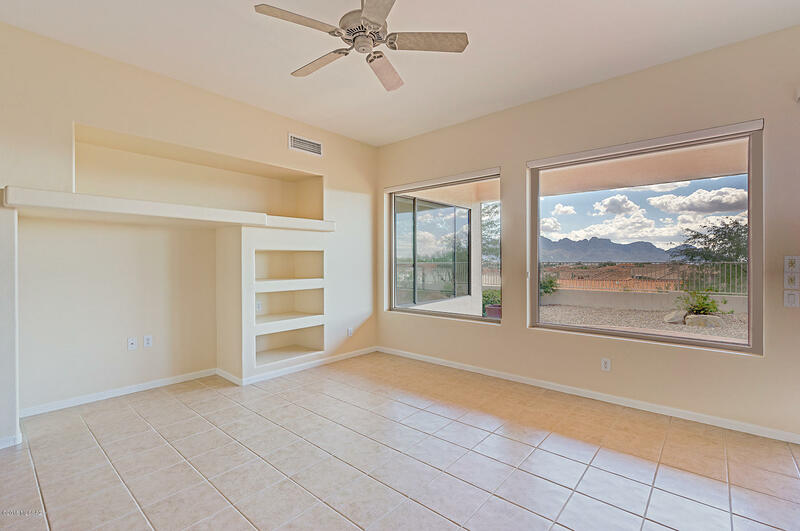 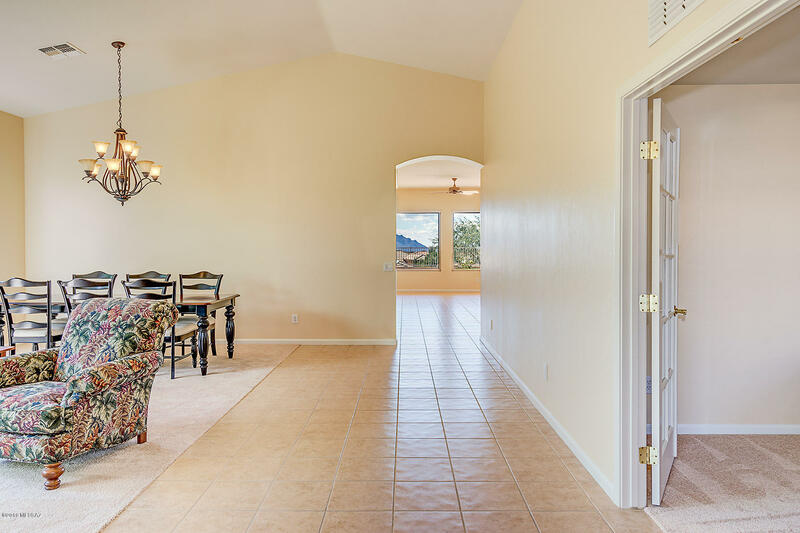 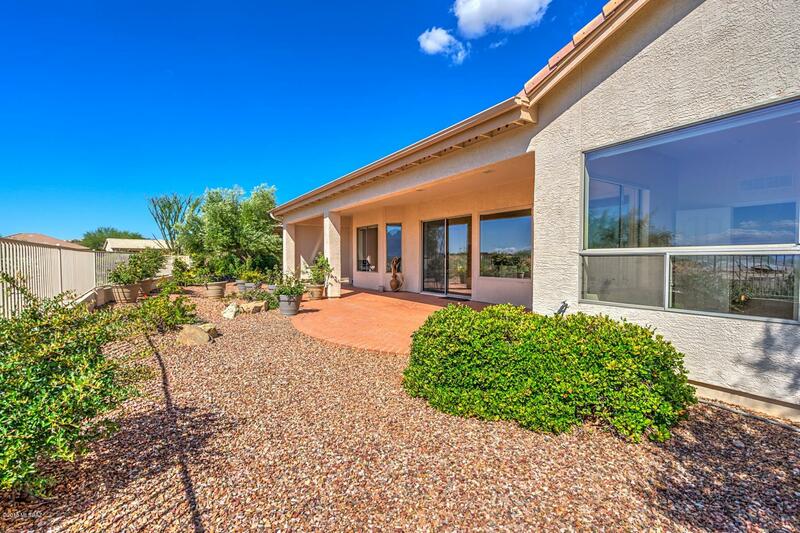 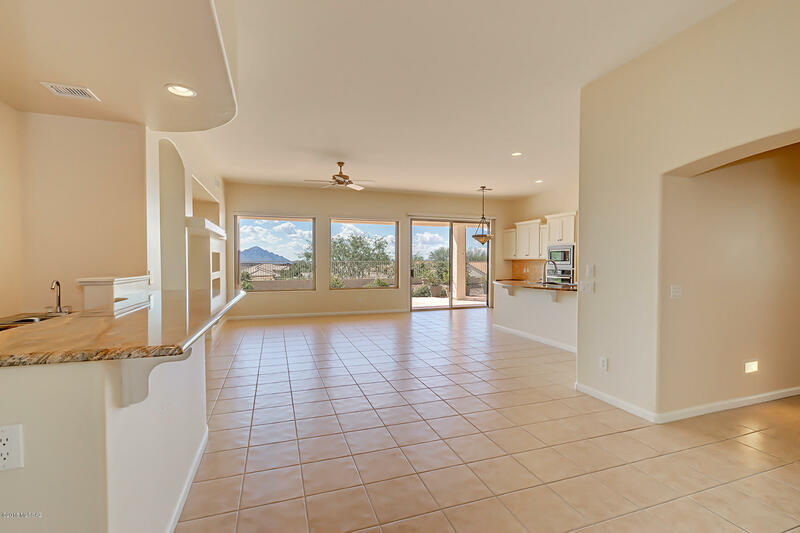 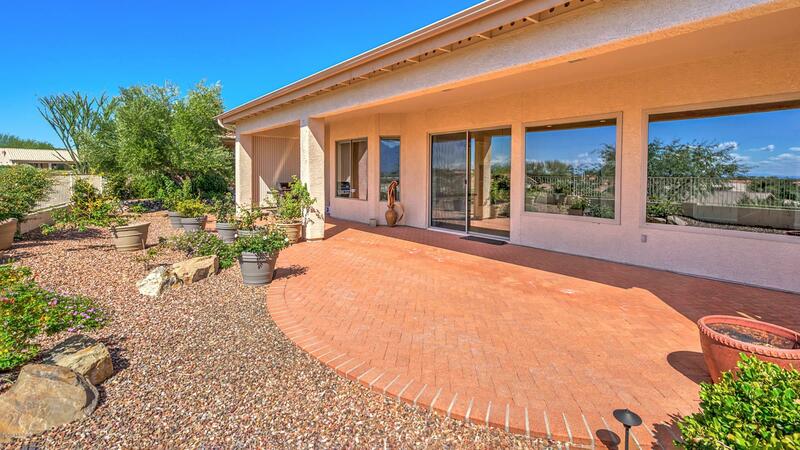 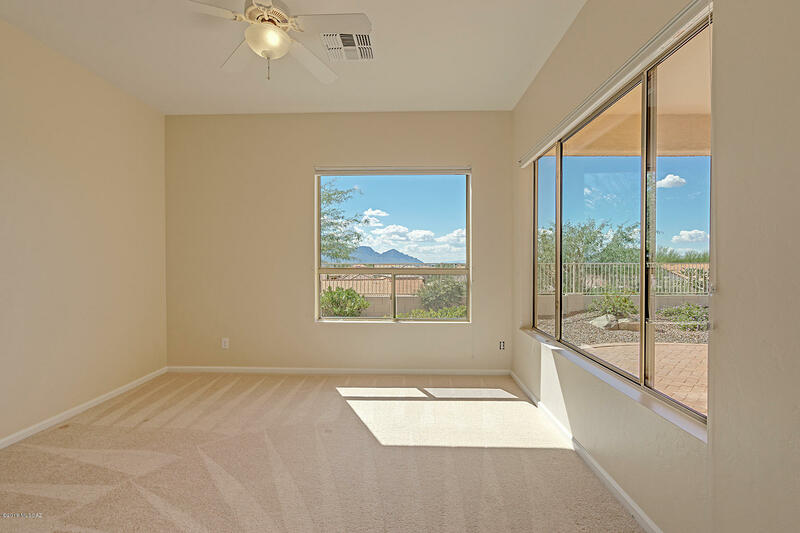 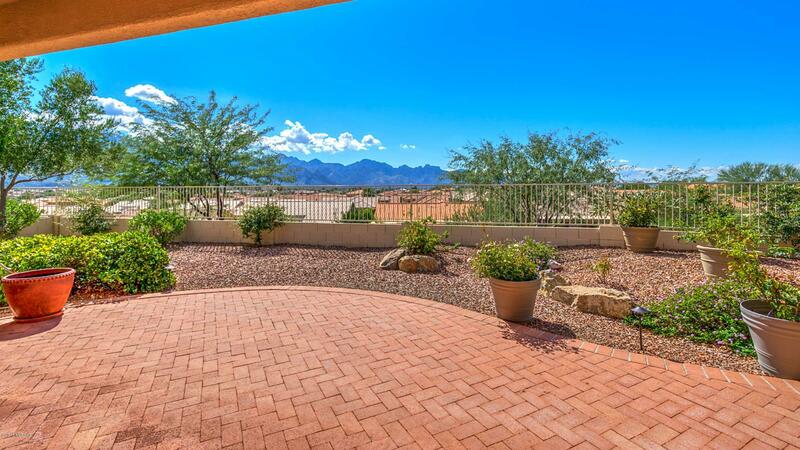 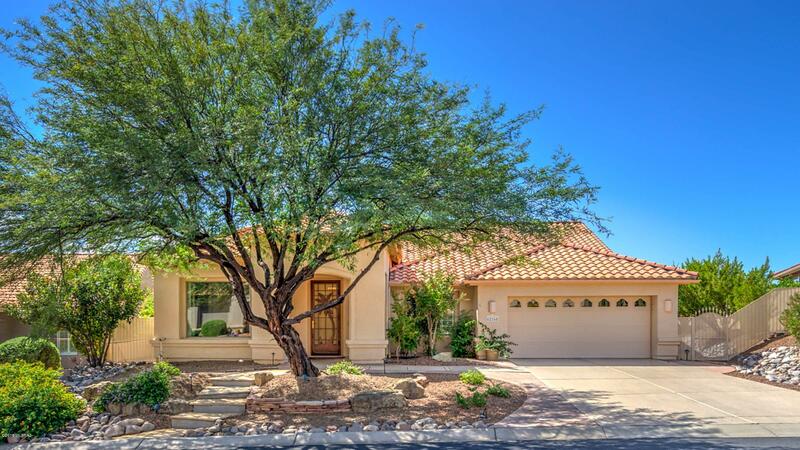 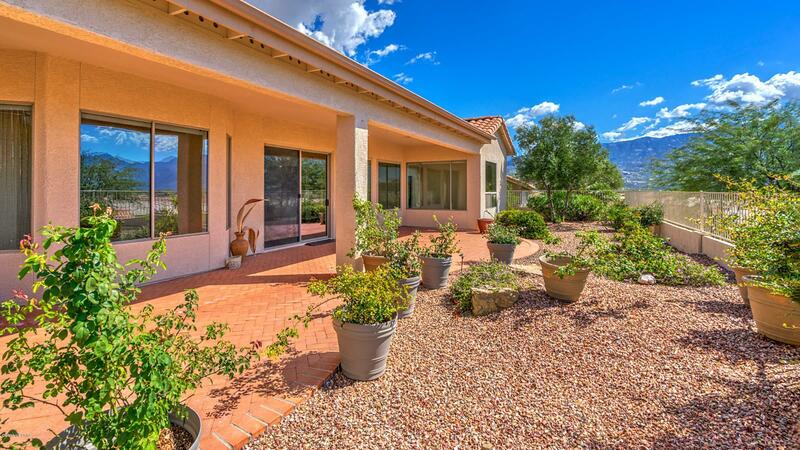 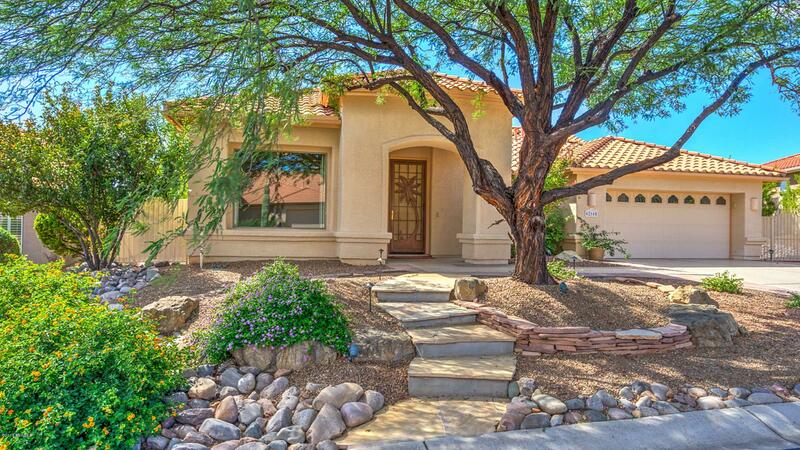 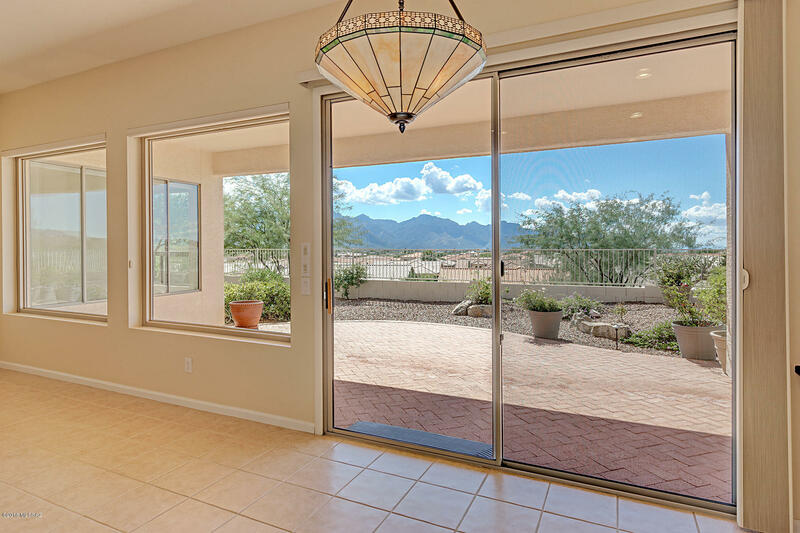 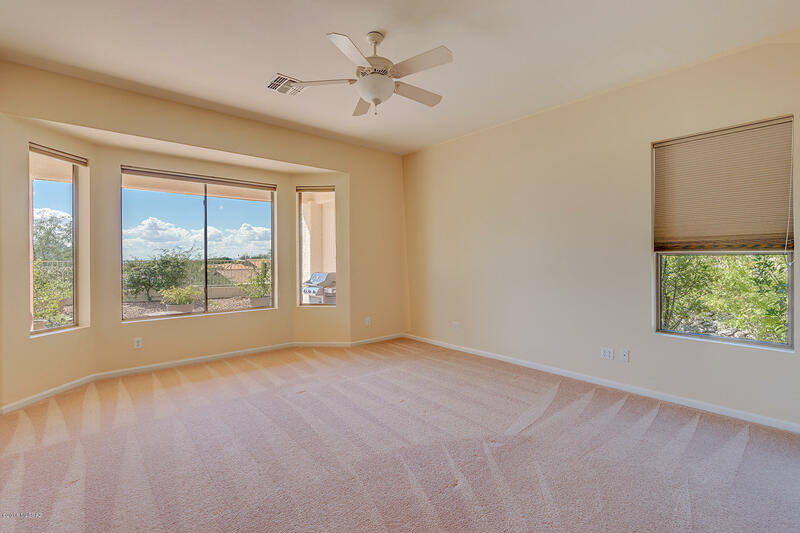 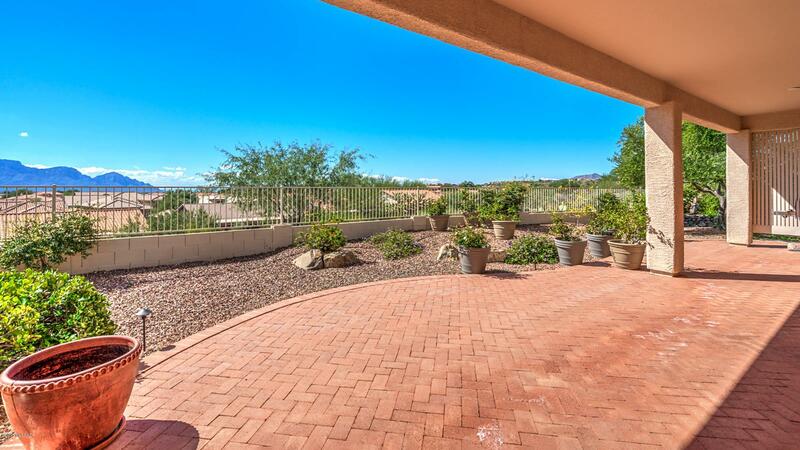 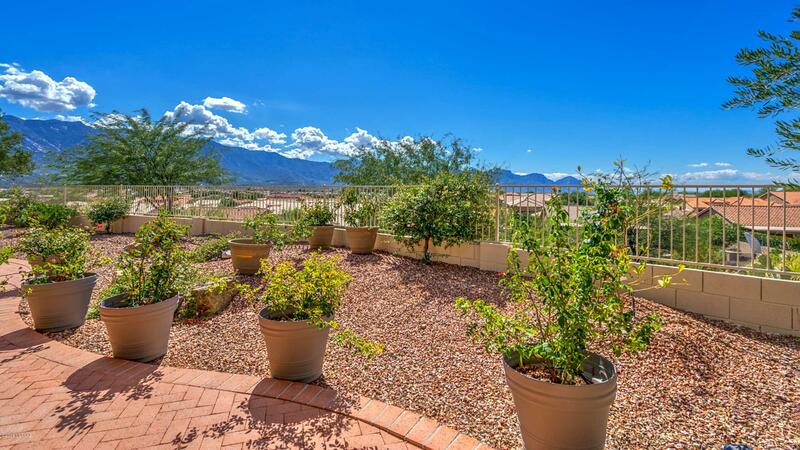 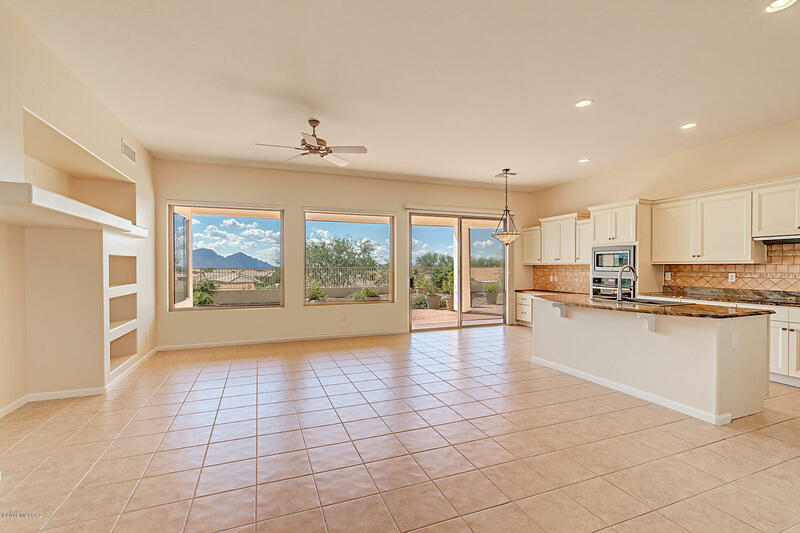 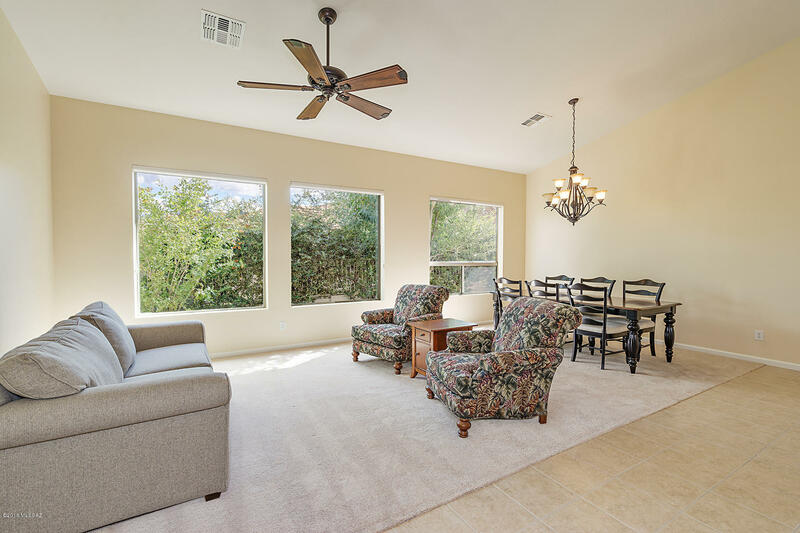 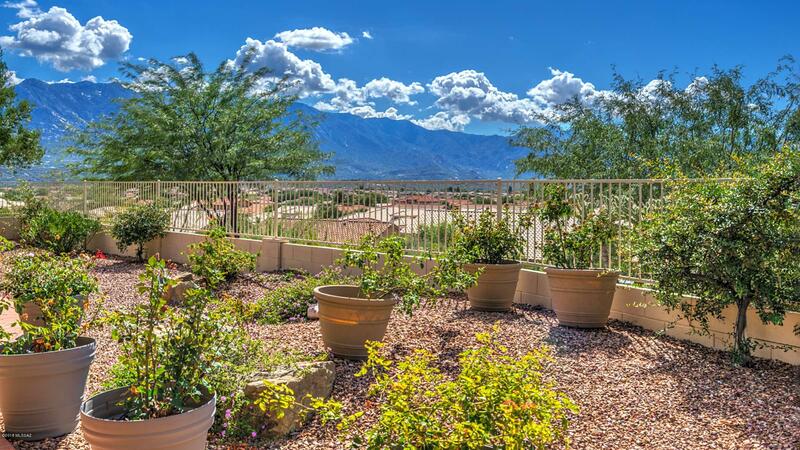 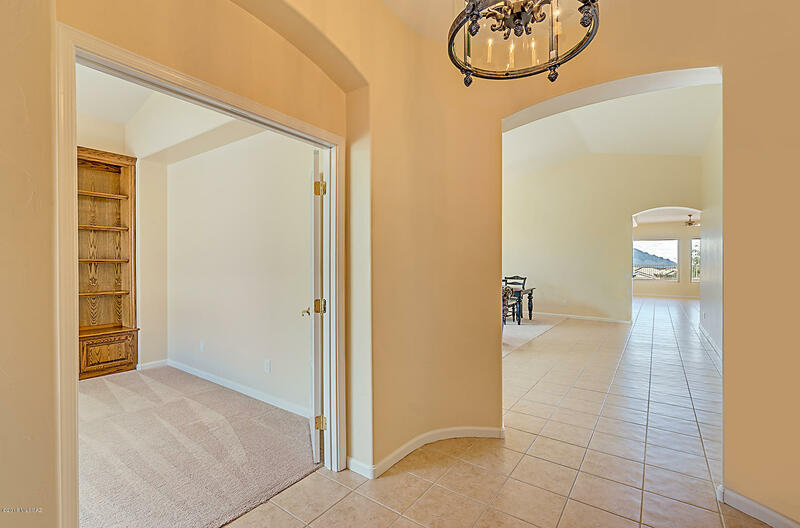 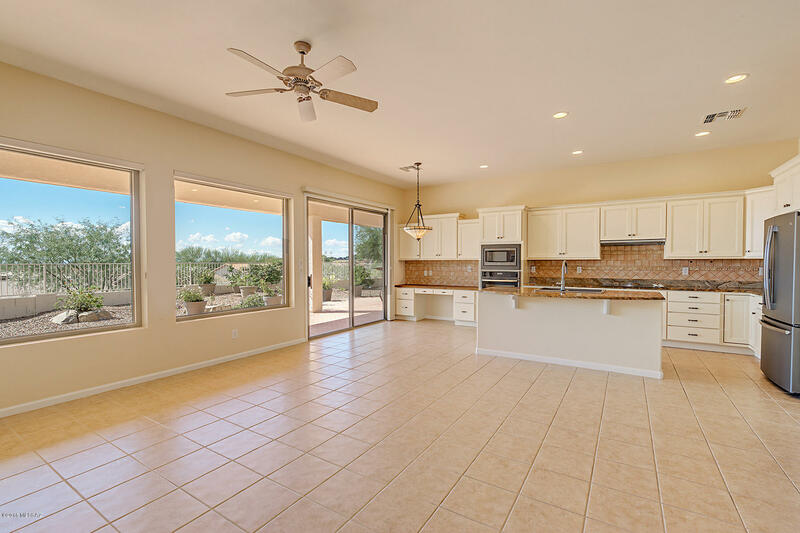 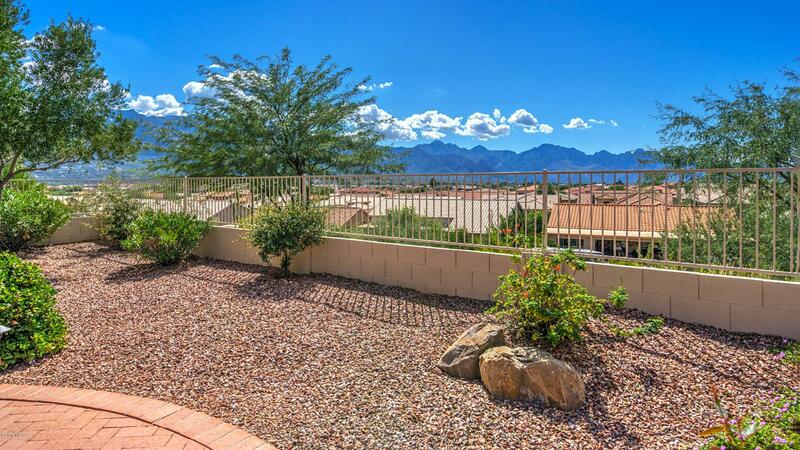 Gorgeous CHEYENNE with fabulous, south-facing Catalina Mountain views! 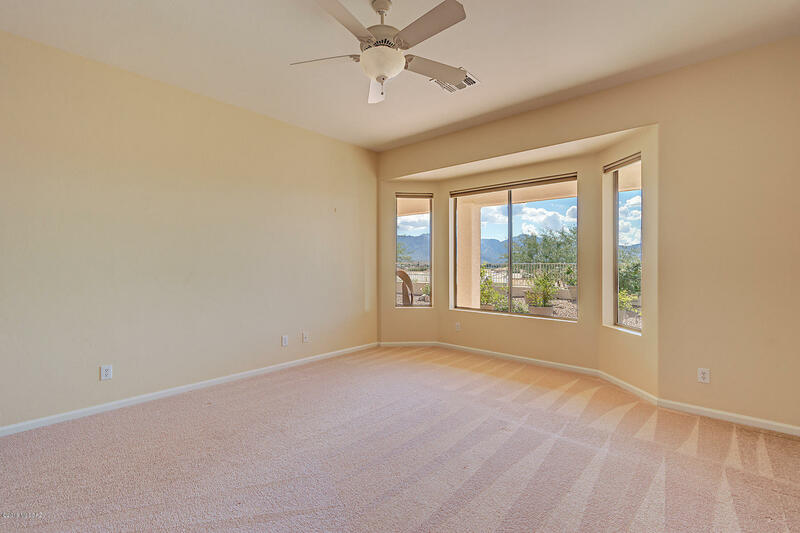 Dual-zone HVAC is new, August 2018. 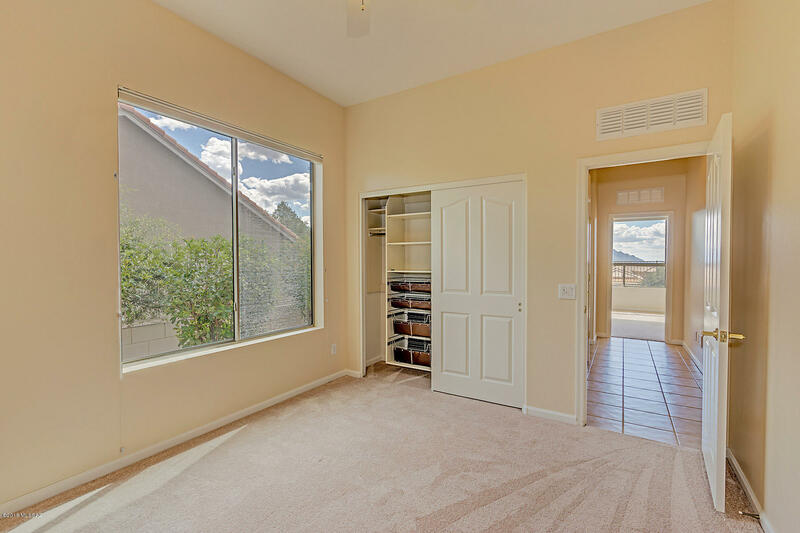 Lots of storage in this 3BR/21/2 BA home. 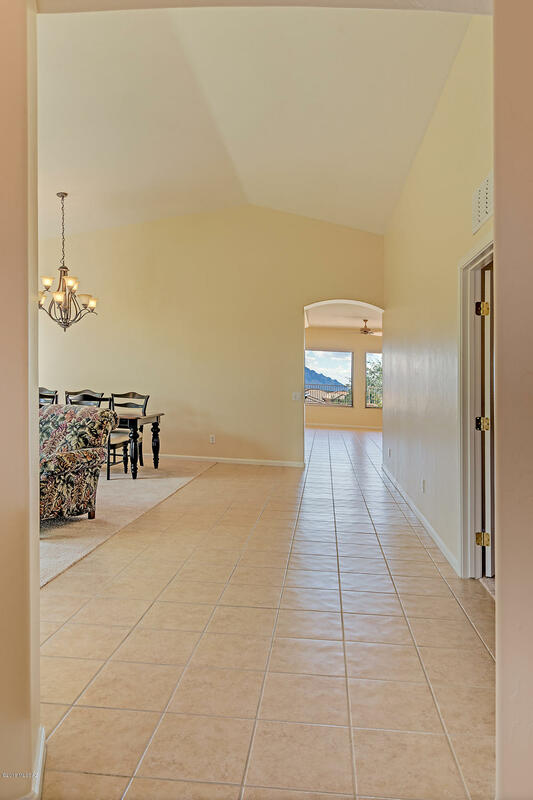 Tile floors in all the right places. 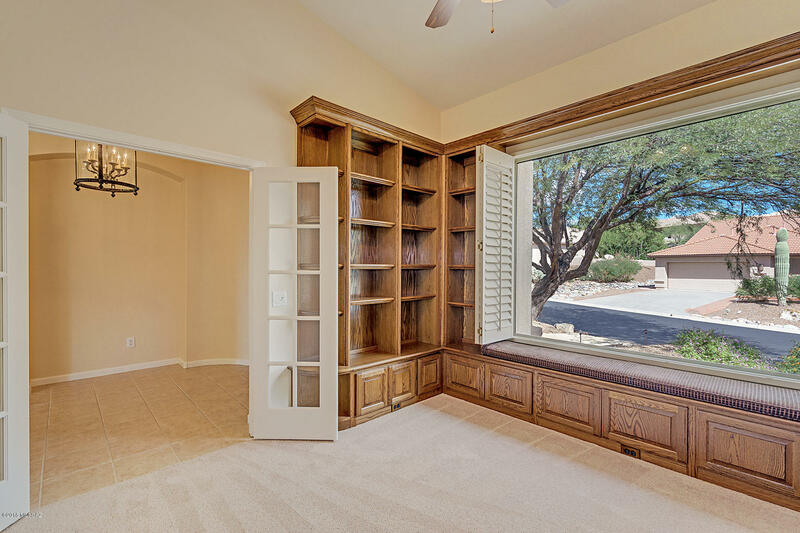 Den/Library has lovely built-in cabinetry on all sides + big picture window. 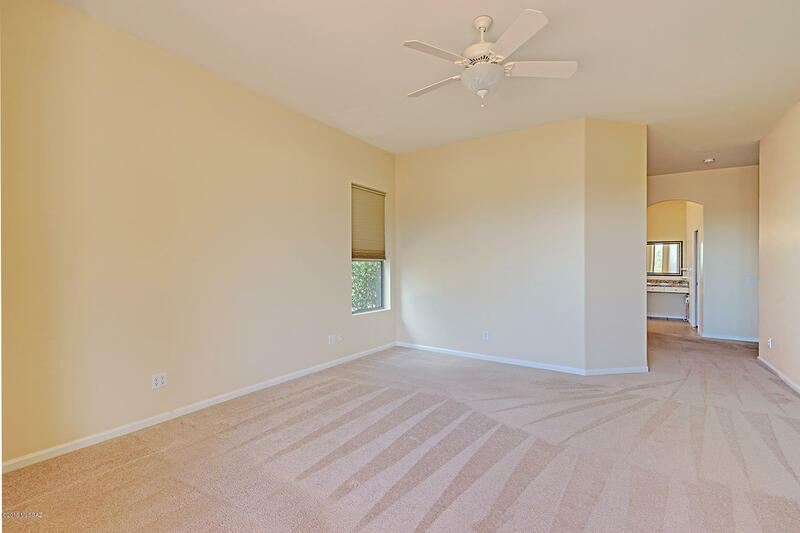 There's a 2nd room which could be Office, Studio, Den, Library, etc. 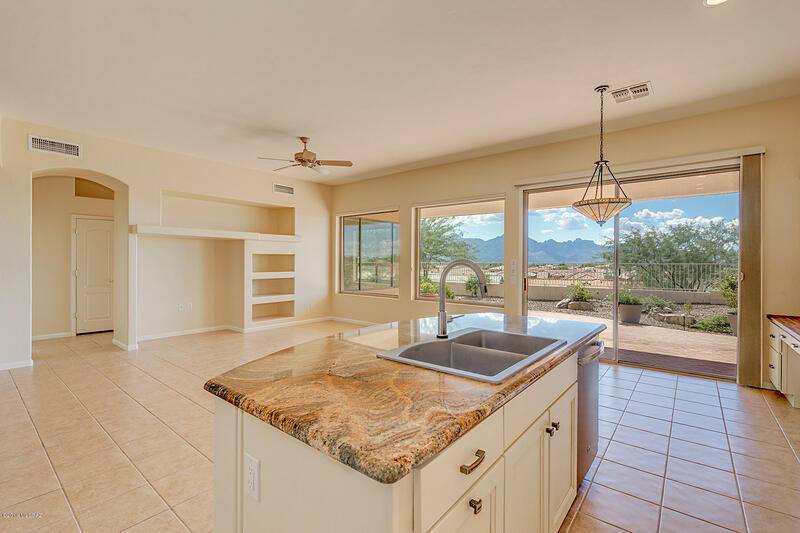 Large Kitchen/Great Rm. 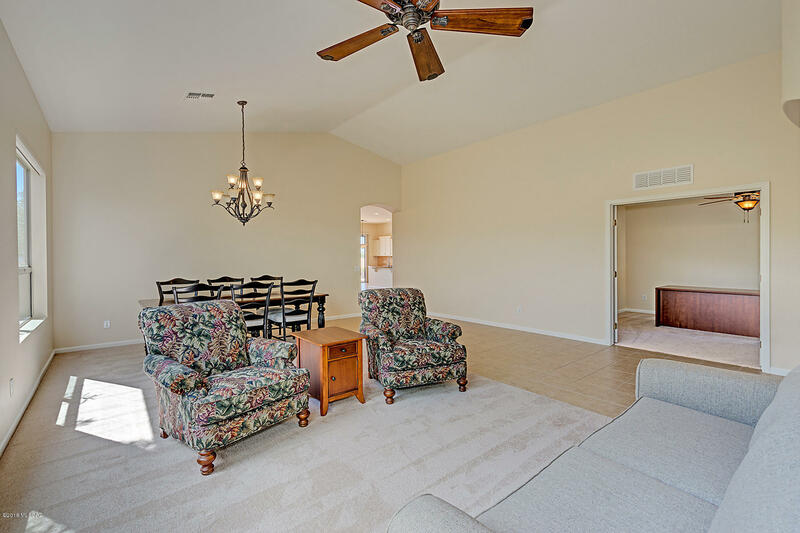 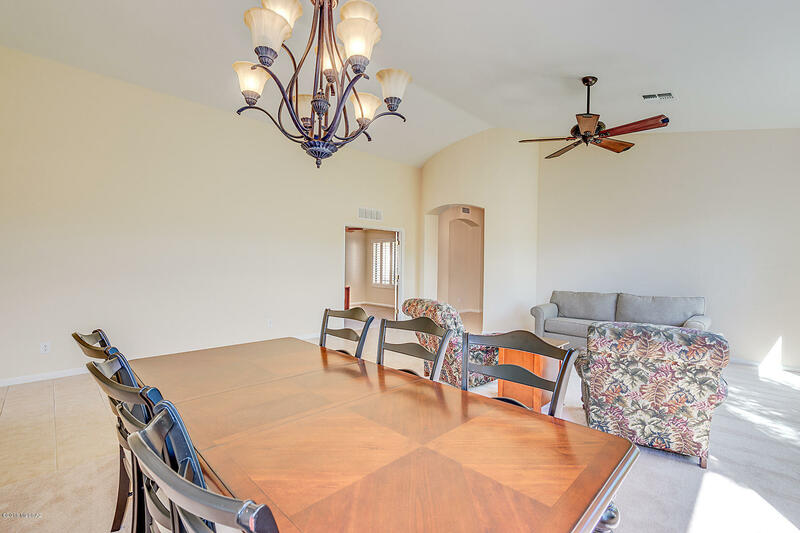 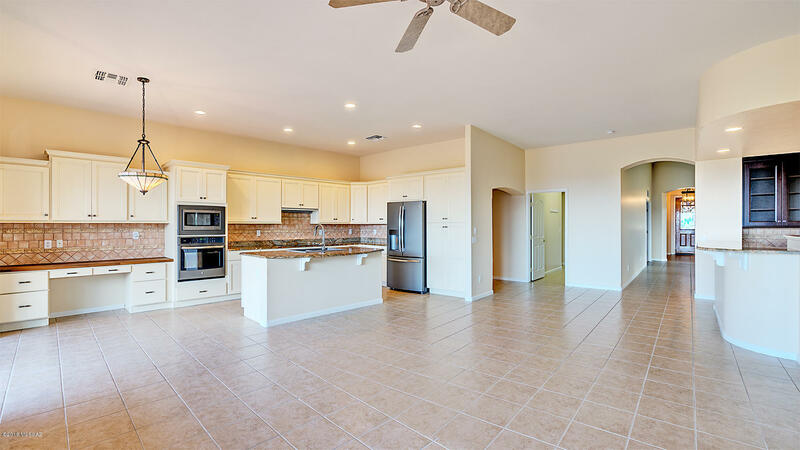 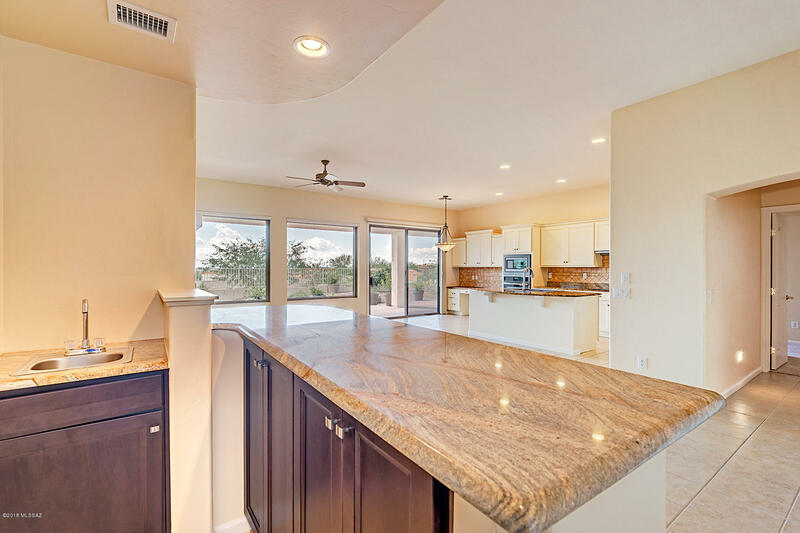 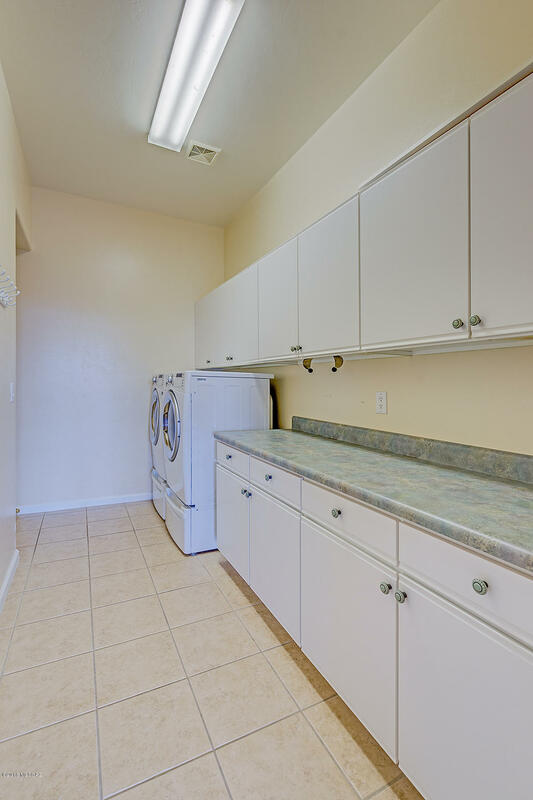 has slab granite tops, island, & wet bar w/sink. 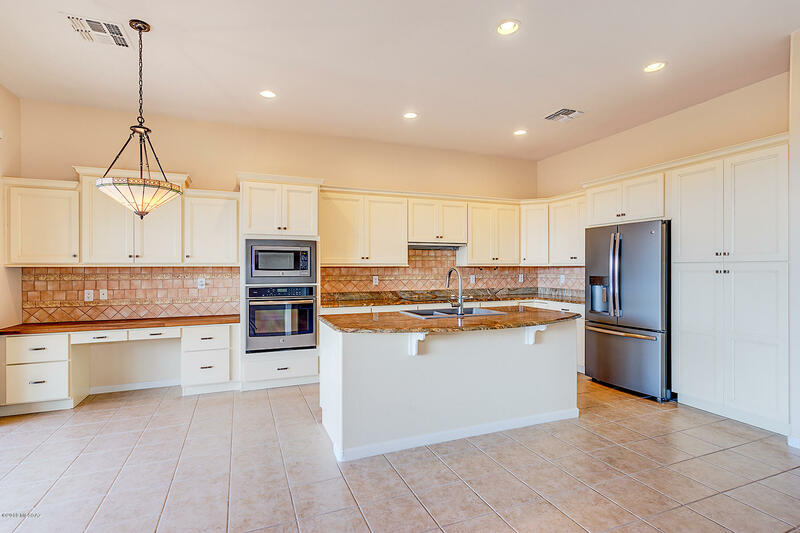 Newer stainless appliances. 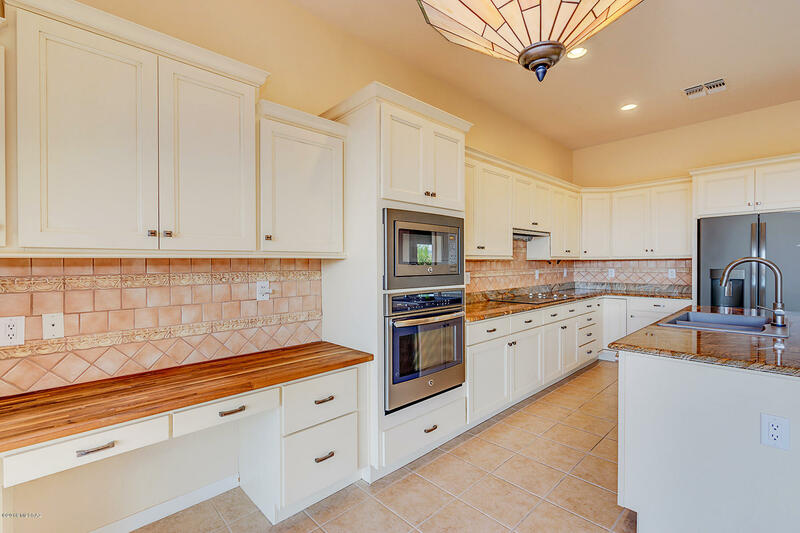 Kitchen cabinets have been beautifully re-faced. 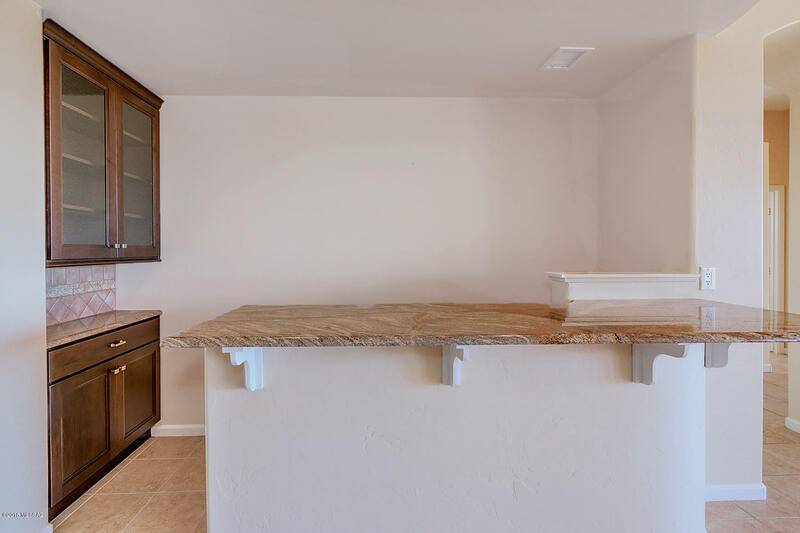 Large Kitchen desk has walnut writing surface. 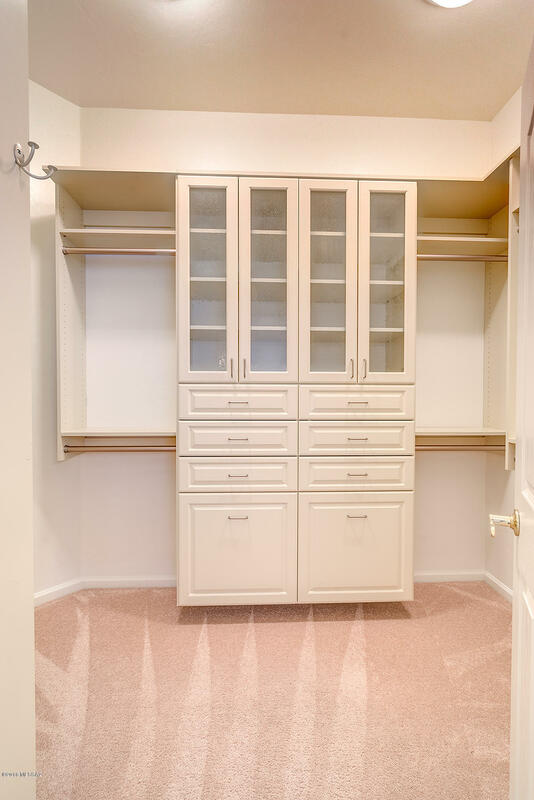 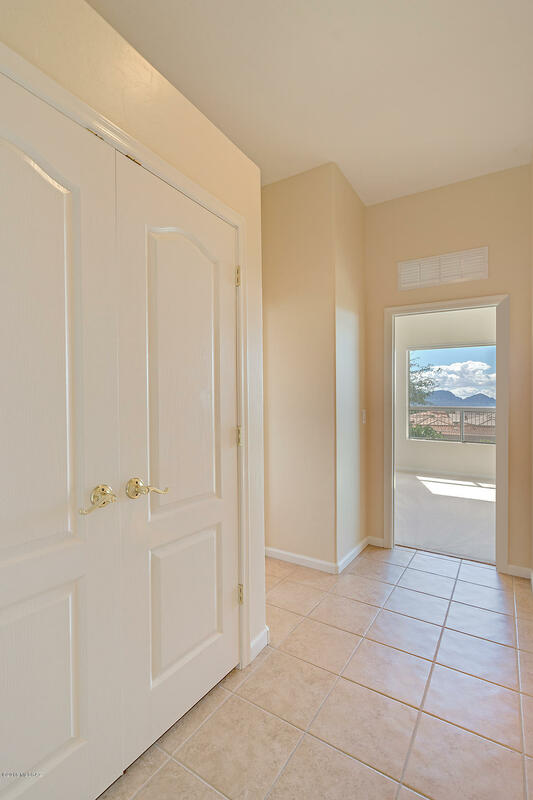 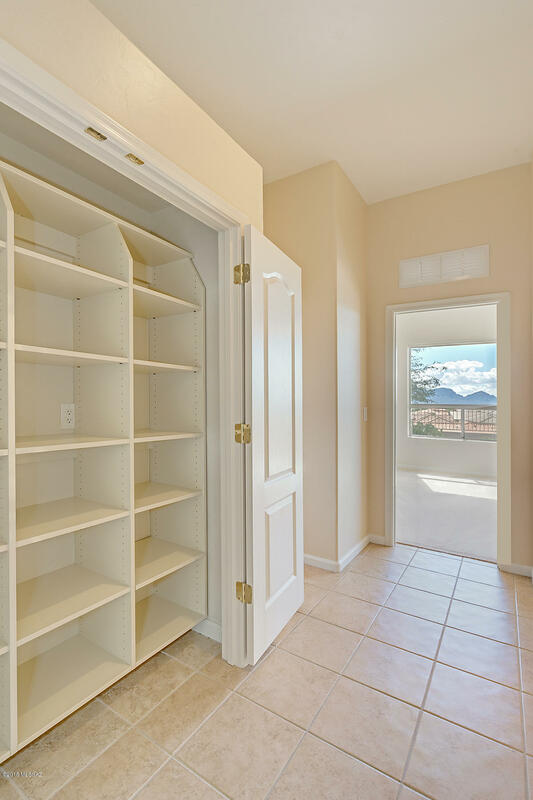 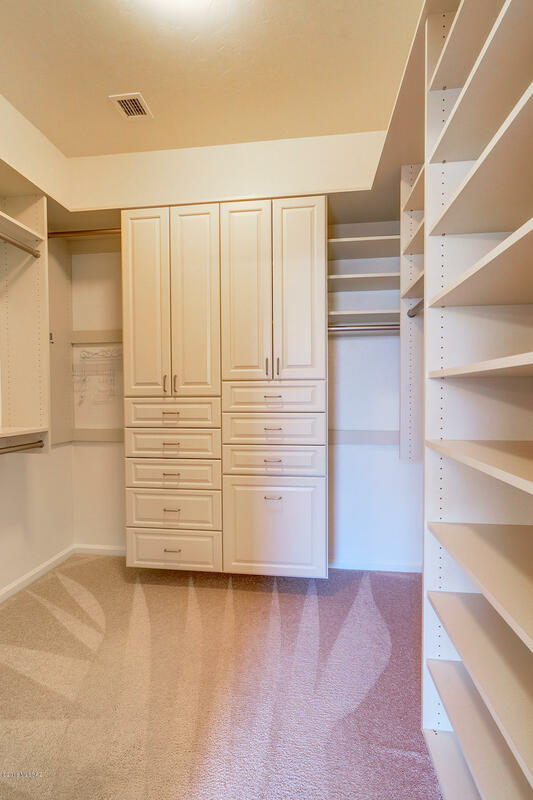 Large Master Suite has two, organized walk-in closets. 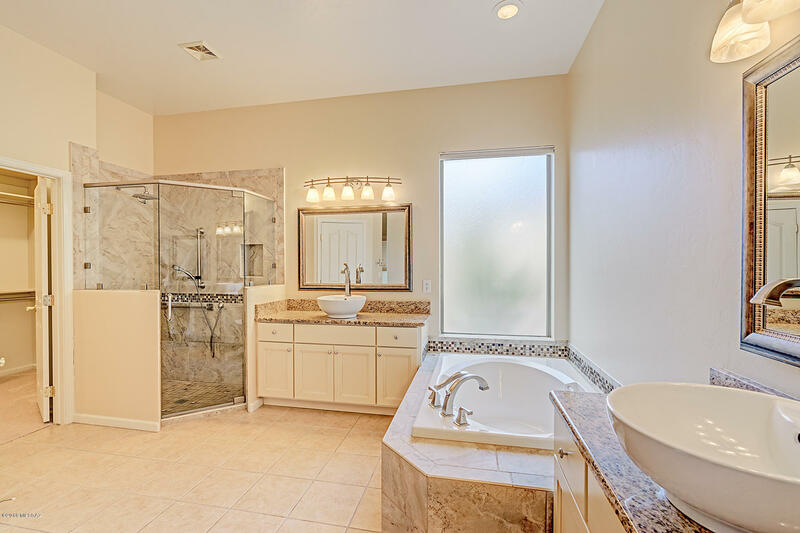 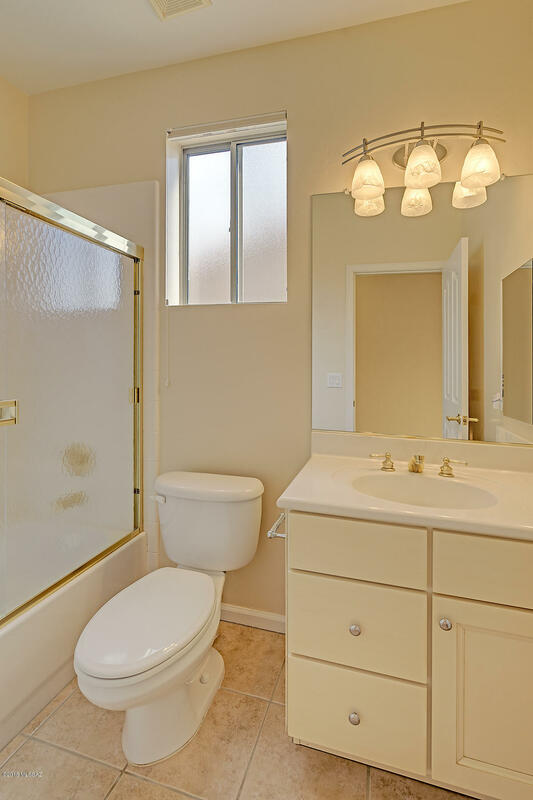 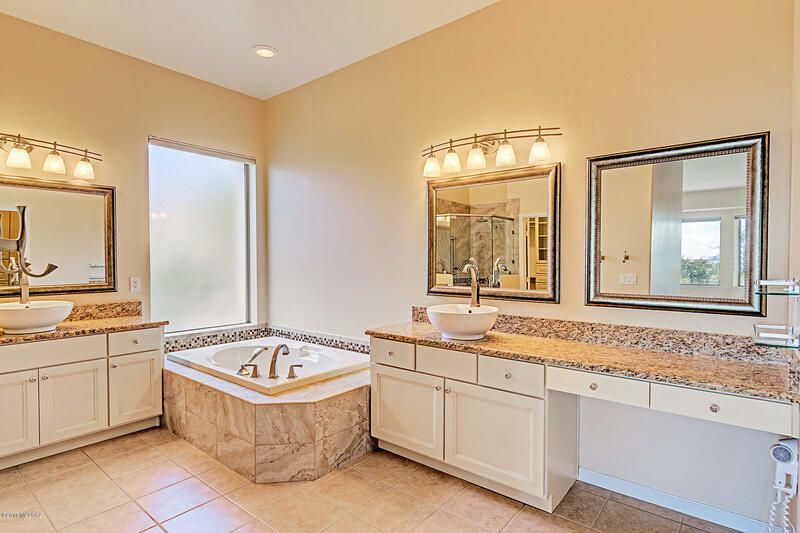 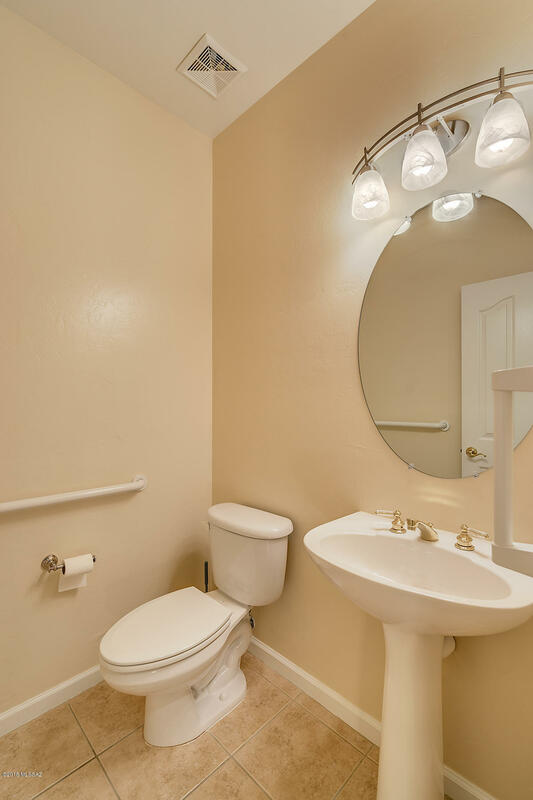 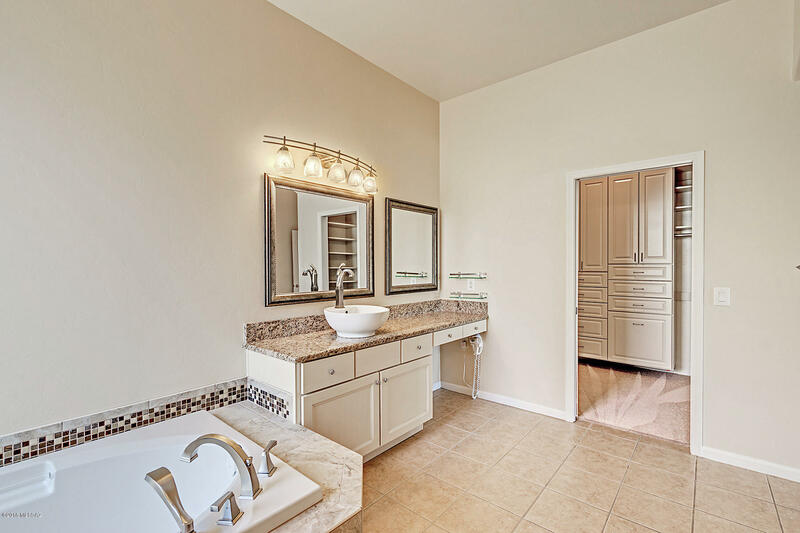 Master Bath was renovated w/new shower, frameless glass enclosure & dual vanities, too. 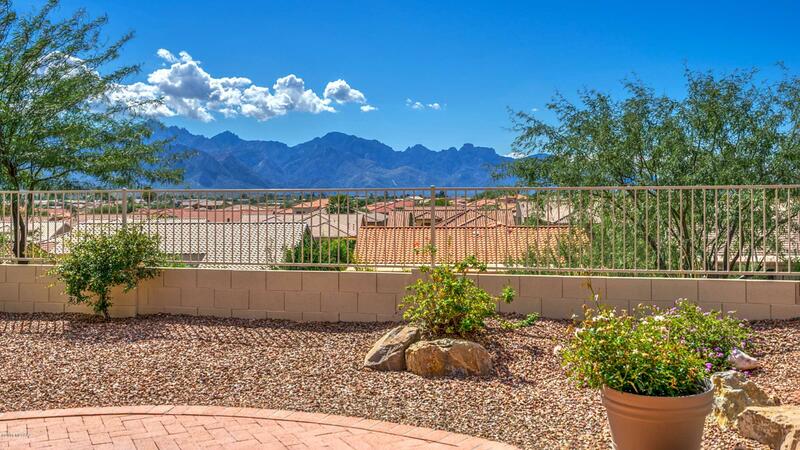 This home is filled with light & those mountain views are readily enjoyed from all the living spaces at rear of home!